Drawings of a bottling plant belonging to A. Keith and Son Ltd. 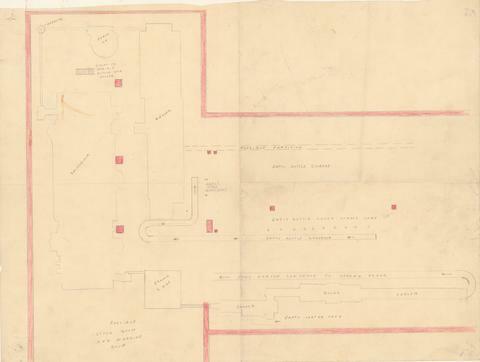 Item is a drawing of the layout of a floor of a bottling plant, probably for A. Keith and Son Ltd. The drawing shows conveyor belts, empty bottle storage, a pasteurizer, a washer, and a possible stock room and machine shop.